‧ Work with angle steel or stainless steel up to 75 x 75 x 6 mm. ‧ V notching and bending dies are integrated into the machine. 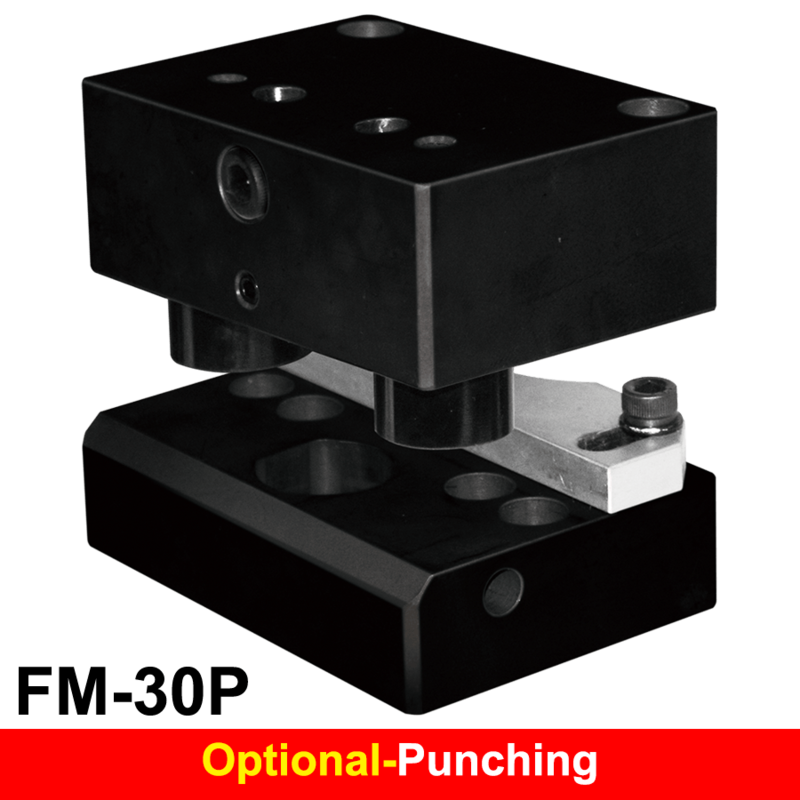 Only punching dies need to be changed. 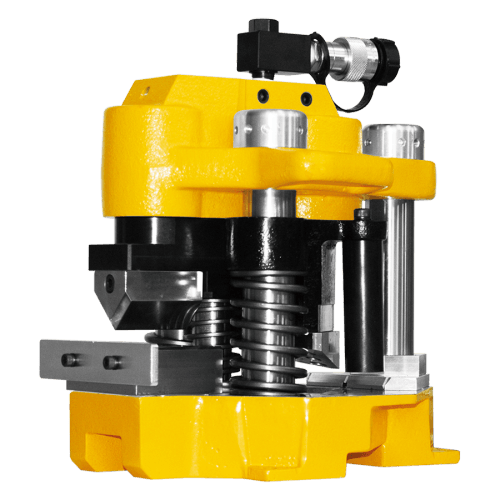 ‧ Special changeover shaft permits steel forming to be done from V notching to bending within seconds. 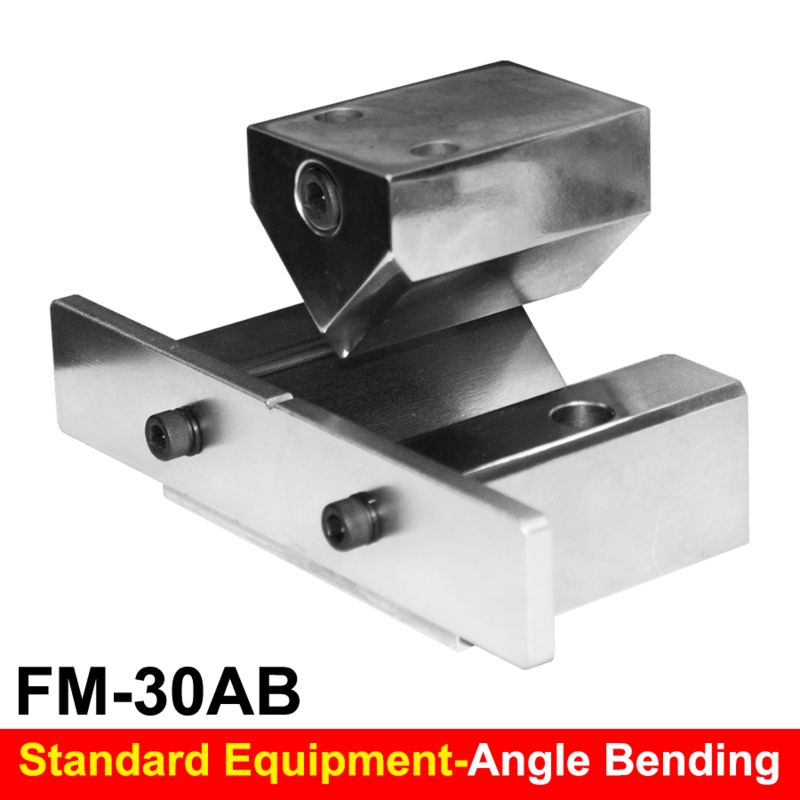 ‧ By adjusting clamp base, V notch can be positioned for 3 mm to 6 mm, 90 degree or 45 degree corner cut. ‧ Can be used with any hydraulic pumps having pressure rating of 700 bars. ※ Punching dies are sold separately.